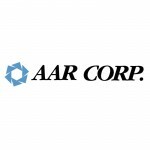 AAR CORP. is a support company for aviation. The company was established in 1951. They provide an immense range of services and products to defense, government and even aerospace industries. Nearly two thirds of the industry deals in providing support services, while remaining portion of the business deals in manufacturing and engineering products. They mainly deal with international and North American commercial airlines (both freight and passenger) industries. In 1955, I.A. Allen Industrial Sales was incorporated in the company. They were rechristened into Allen Aircraft Radio in 1962. Furthermore, in 1969, they were formalized as AAR CORP. Their headquarter is located at Wood Dale, in Illinois. There are currently 0 consumer reviews about AAR CORP. available. Share your review. Please take a note that you are about to post a public review about AAR CORP. corporate office on CorporateOffice.com. This review will be public, so please do not post any of your personal information on this website. If you would like to contact the corporate offices of AAR CORP., please use their contact information such as their phone number, website, and address listed above to contact them. However, sometimes staff from AAR CORP. headquarters do read the reviews on this website.